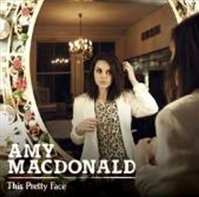 The song Amy Macdonald - This Pretty Face is professional recreation. It is not by the original artist. Across The Nile Amy Macdonald Your browser does not support the audio tag. An Ordinary Life Amy Macdonald Your browser does not support the audio tag. Don't Tell Me That It's Over Amy Macdonald Your browser does not support the audio tag. Let's Start a Band Amy Macdonald Your browser does not support the audio tag. Love Love Amy Macdonald Your browser does not support the audio tag. Poison Prince Amy MacDonald Your browser does not support the audio tag. Pride Amy Macdonald Your browser does not support the audio tag. Run Amy MacDonald Your browser does not support the audio tag. Slow It Down Amy Macdonald Your browser does not support the audio tag. Spark Amy Macdonald Your browser does not support the audio tag. The Furthest Star Amy Macdonald Your browser does not support the audio tag. This Is The Life Amy MacDonald Your browser does not support the audio tag. This Pretty Face Amy Macdonald Your browser does not support the audio tag. Troubled Soul Amy Macdonald Your browser does not support the audio tag. What Happiness Means To Me Amy Macdonald Your browser does not support the audio tag.